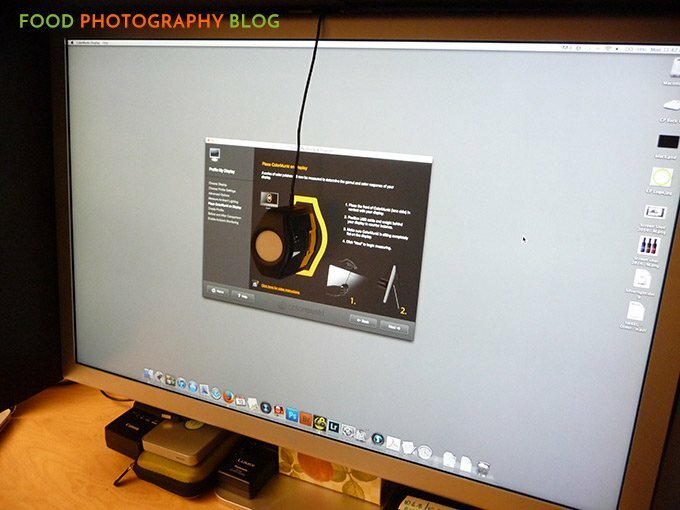 How To Calibrate Your Monitor And Why You Need To Do It Now! This is not a sponsored post and I’m not being supported or endorsed by X-Rite. They have great customer support and have helped me with calibrating my systems for years and have also helped with my research for this post. This is something that is so important, but very few people do – calibrate your monitor. YOU MUST CALIBRATE YOUR MONITOR. If you don’t, you are blindly making images without any idea of what the true color, contrast, saturation, and brightness is. 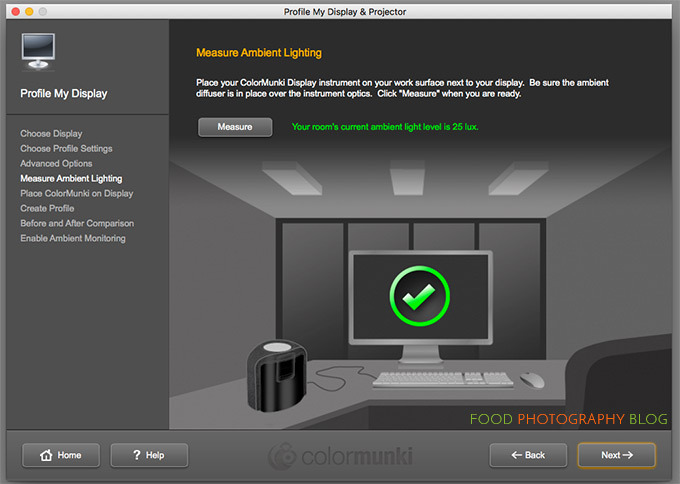 Monitor calibration makes sure that your monitor is showing you the most accurate color, brightness, saturation, and contrast that it can. It does this by making what’s called a Color Profile. Each color profile is unique. Color Profiles end in .icc and are stored in you system’s library. Not every monitor is created equally either. If you look at all the different laptops out there, they wildly vary in how their screens look. If you look at an inexpensive PC screen, then look at a Mac Powerbook, there’s a huge difference in color, brightness, saturation, and contrast. You have to always think of your monitor as a translator. It is translating color from your file to your screen. It will never be 100% accurate. The goal is to get it as accurate as you can for the type of work you are doing. In my last post I went into detail about monitors. Please check that out first. I explain why you must do your color critical work on a stand alone monitor and not on a laptop. If you are just starting out, I understand you might not be able to afford a new monitor. You can attempt to calibrate your laptop screen, and you should, just know that they aren’t as accurate as a stand alone monitor. The best environment for editing images is in a room that does not have much ambient daylight at all. Your environment should be dimly lit. 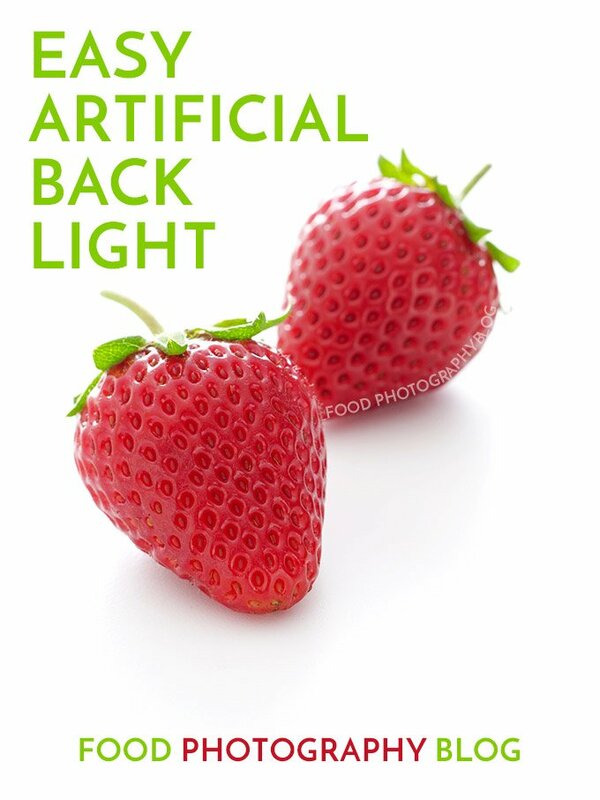 If your ambient lights are much brighter than your monitor, you will not edit your images properly. If your room has a ton of daylight coming in, you won’t be able to see your monitor accurately. This is a huge problem. You will need to close the curtains, block light, do what you can so that the ambient light is not competing with your monitor. Shooting on location outside is a huge problem when it comes to this. You have to shade your laptop from all the daylight because you just can’t see your screen otherwise. If you are working in a very brightly lit room, this could be a great solution to help you as well. This is called a Laptop Hood. This one by Think Tank folds up nicely so you can store it when needed. Just think of it as a little tent for your laptop that allows you to see it in bright daylight. It must be black on the inside. I saw some that are white or silver inside – that’s ridiculous and completely defeats the purpose of blocking light. I also have a monitor hood on my stand alone monitor. You will need to get one that is made for your monitor. I’ve used hoods from this company for years. They are very necessary to block ambient light in your room. In all the classes I’ve taught, I think there were only two students that worked on a calibrated monitor. They were both graphic designers, and color accuracy was extremely critical for their work. 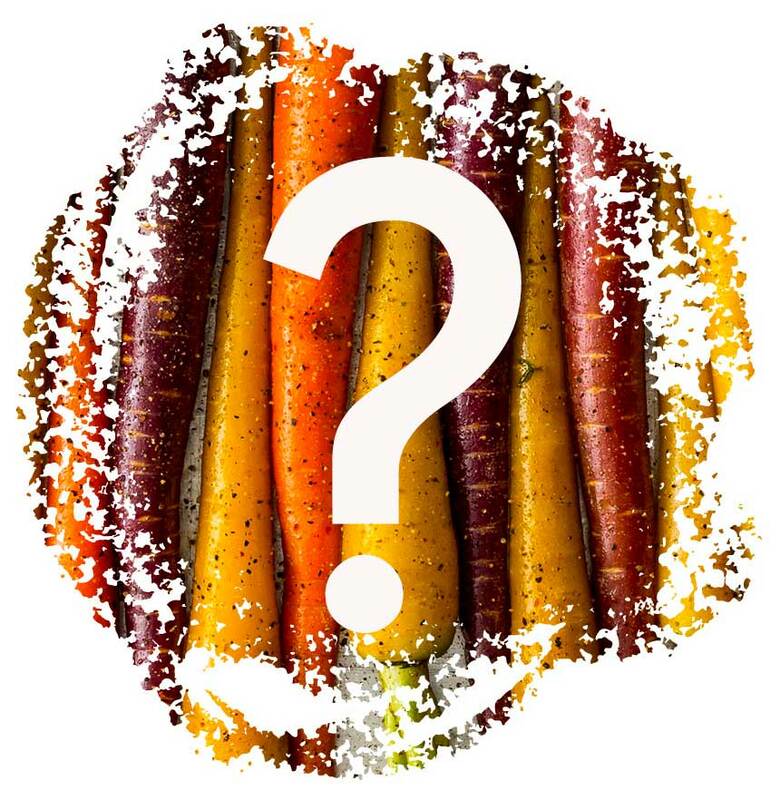 I ran a poll in our Facebook Food Photography Club Group to learn that 80% are not calibrating their monitors, which completely explained why several of the members sharing photos in the club were sharing photos that were too dark. 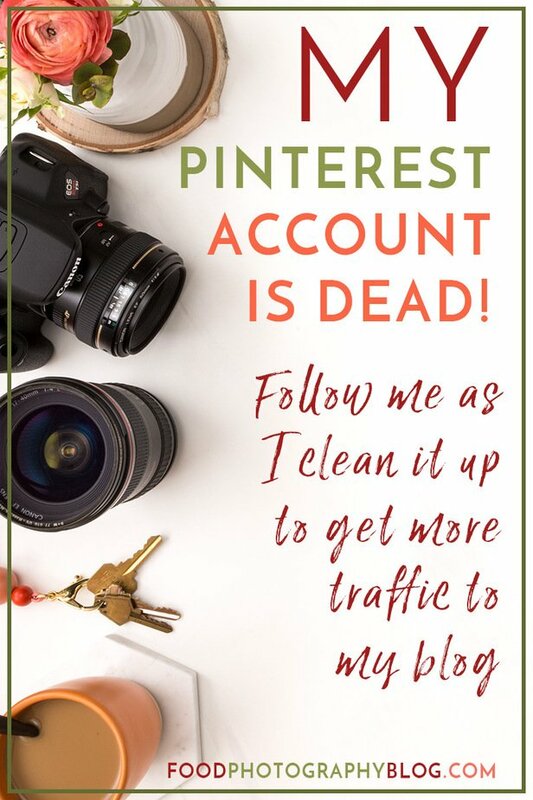 If you are just doing work for yourself and not sharing the images with anyone (not sure who that would be), then it won’t really matter to you. 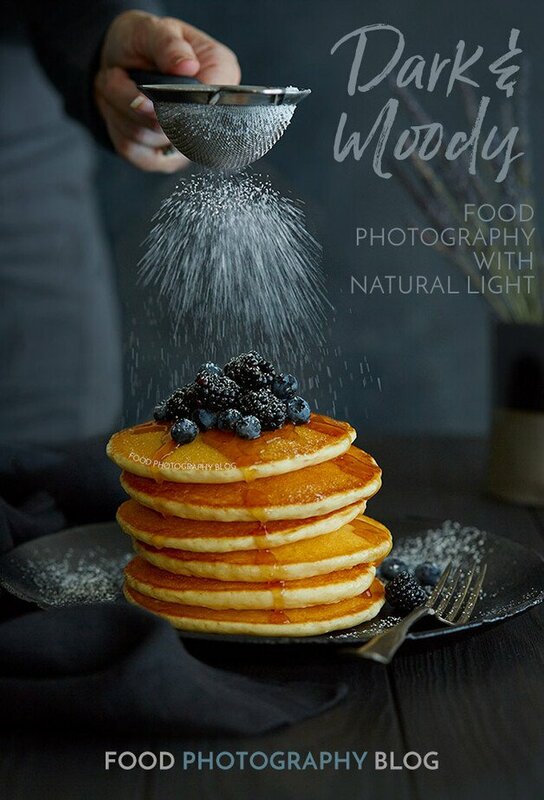 The goal is to create images that will look consistent when other people are viewing your work. 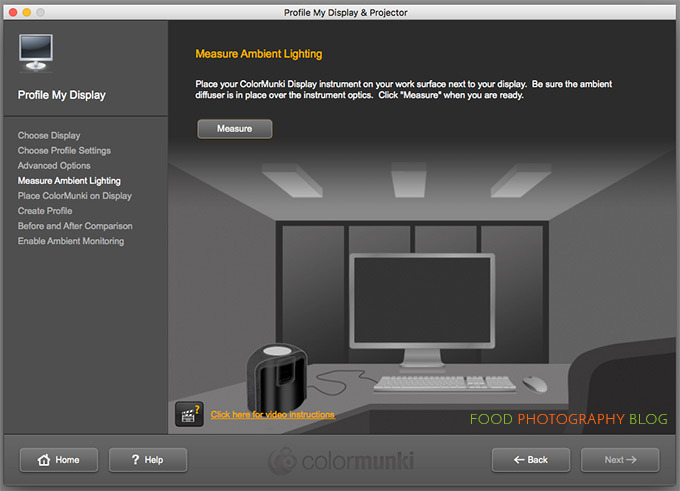 If you are working on a calibrated monitor, then you know the image you worked on has the proper brightness, color, and contrast so that when viewed on a calibrated monitor, it looks good. 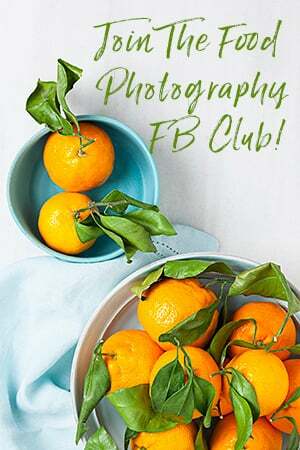 If you are creating images for other people, you have got to work on a calibrated system. Period. End of Story. Exclamation Point! 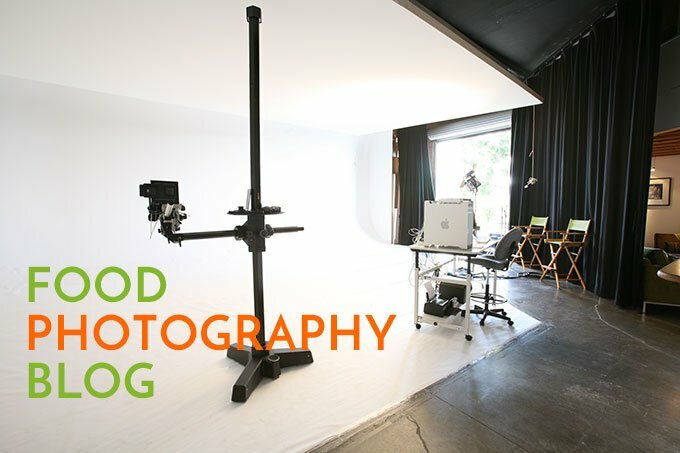 If you are calling yourself a professional photographer and are trying to get paid for your photography, you must work on a calibrated system. Period. End of Story. Exclamation Point! If you aren’t working on a calibrated monitor, and you are making images for other people, chances are someone else down the chain is actually correcting your images for their needs. If you are working on a monitor that is too bright (the most common situation), then you will make your images too dark, all the time. 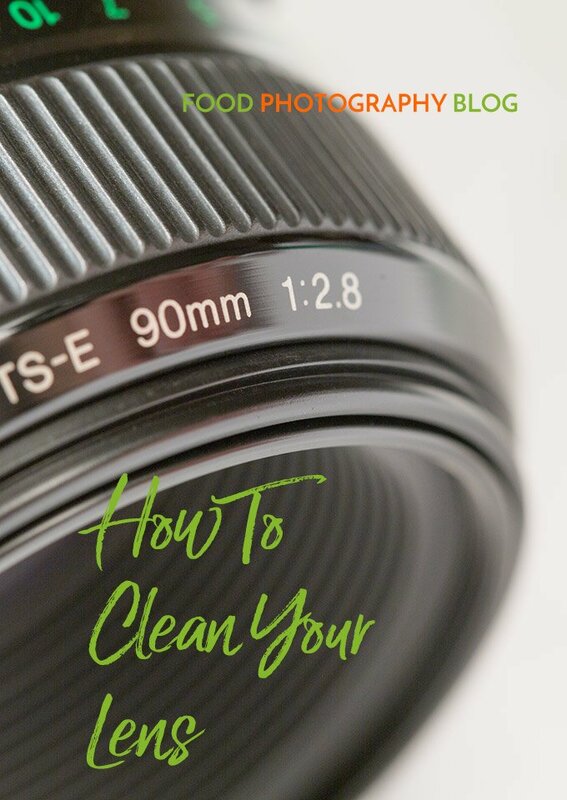 You will be compensating for your monitor and make your images darker in order for them to look properly exposed on your monitor. If you are working on a monitor that is too dark, your images will look too bright elsewhere because chances are you are lightening up your images to compensate for your monitor. When you get a new computer or a new monitor, the factory default settings are usually set to the brightest settings. It’s really annoying. Especially the laptops, they are extremely bright. If you got used to looking at that bright screen, after you calibrate your monitor there will be a huge shift that you have to get used to. I’ve been using this brand for years and I’ve had this device for about 4 years now. It’s the X-Rite ColorMunki display. They have three different levels of devices. I get the middle priced one shown here to use on my older monitors. This is about $60 less on Amazon right now than on their website and sells for about $125. I talked about X-Rite in my last post. Their tech support is awesome. They now know me by name. Here is their website with the product and instructions for using it. They have great video tutorials as well. You need the software that comes with it. You can also download it from their website if needed from the product page in the link above. 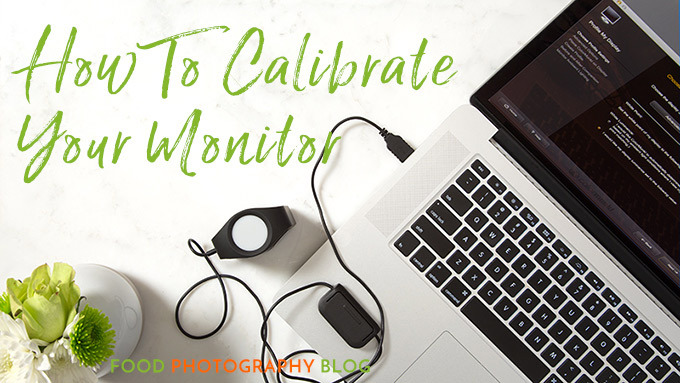 If you have a monitor that has proprietary calibration software built in, check and see which devices you can use with it. Chances are the software was actually made by X-Rite. If that is the case you will need to use the X-Rite i1Display Pro or something similar. If you are making your own fine art prints and are struggling with getting accurate color with your prints, you might need to calibrate your printer as well. X-Rite makes units for this too. This is the X-Rite ColorMunki Photo. 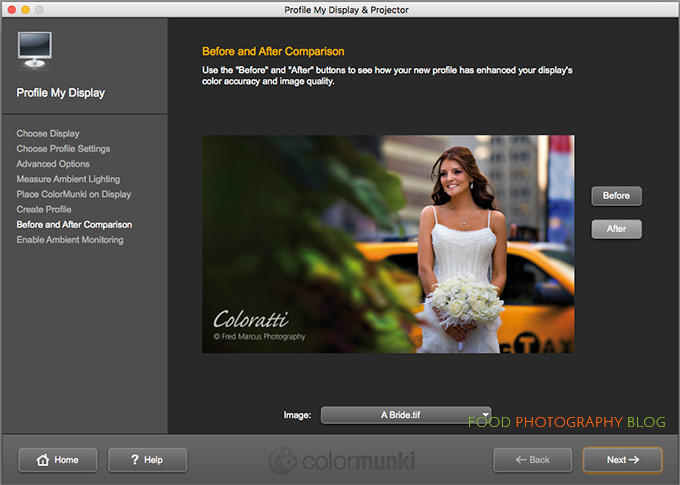 This is for the advanced user who understands about color profiling devices and creating ICC profiles for color management. 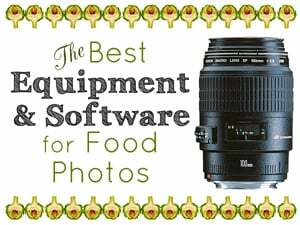 I never run out and buy the newest, fanciest equipment. I let everyone else do that, wait to see what they have to say about it, then make my decision from there. 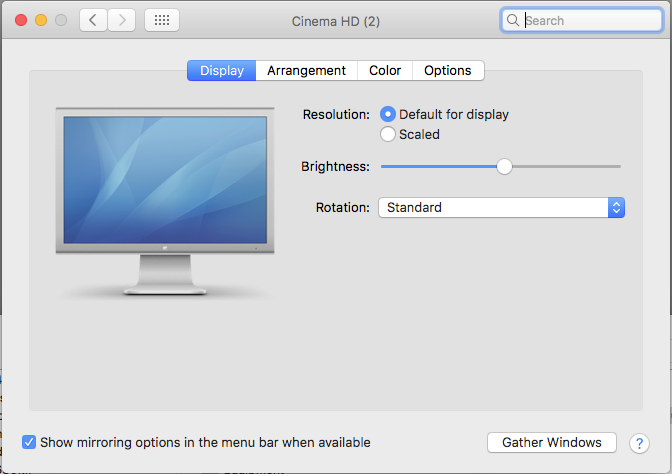 That being said, I’m still using my two 30″ Apple Cinema HD displays. I calibrate them every time I work on images. My computer is an older Mac Tower that has updated hardware inside. 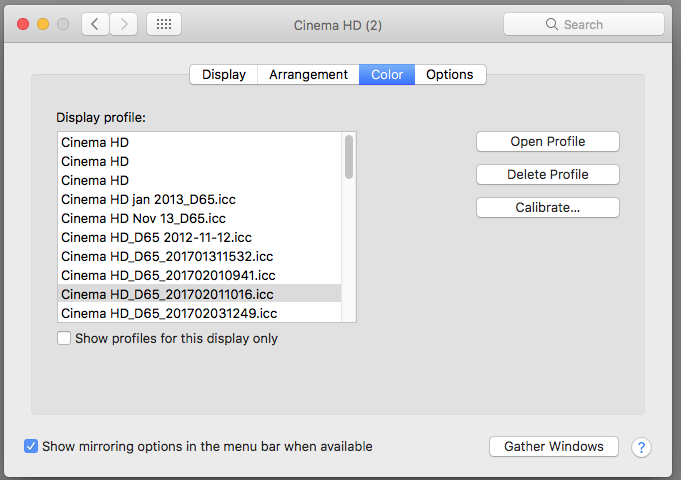 Calibrating my system worked great for 5 years – until I updated my Mac OS this month. I updated my OS to 10.12. 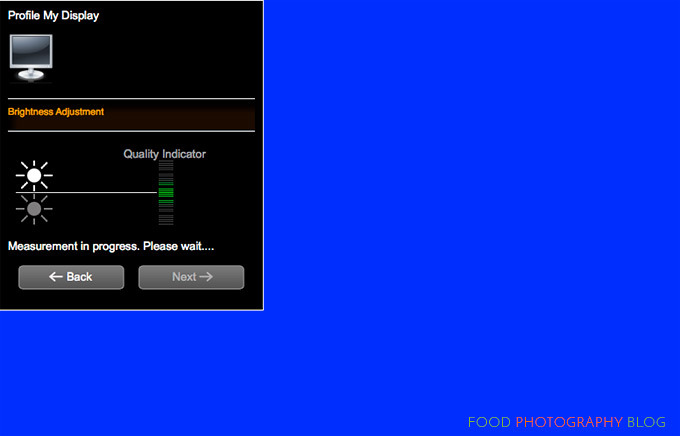 The first time I calibrated my monitor after that the screen looked dark and very blue. This is a problem. So I called X-Rite, talked to Alex in tech support and we walked through every step of calibration. With the new OS, I can no longer plug my ColorMunki into my monitor. I have to plug it into the tower itself. 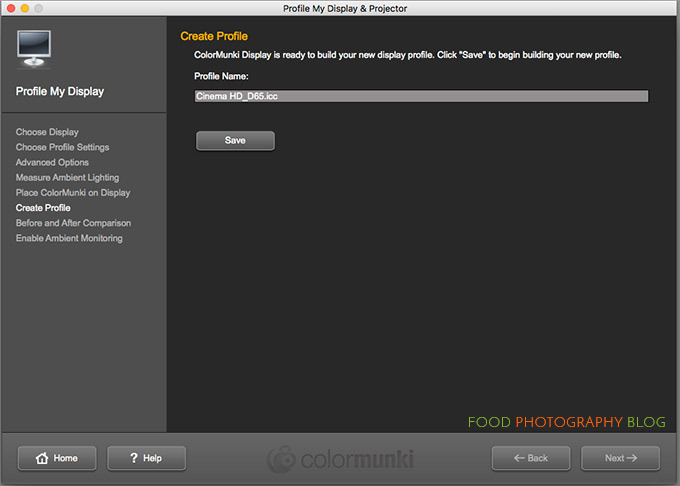 Also, the ColorMunki software was having a hard time getting the profile to do what it was supposed to do. So I had to do some extra steps to make it work properly. I’m telling you this because you might be working on older equipment as well. If you have any issues, you can call X-Rite. They are in the Eastern time zone. You can also email them from that same page if you aren’t able to call them. The weird Mac issue I had is quite common apparently with the older machines, so X-Rite has a support page to help you. I had to do these extra steps before calibration on my older laptops as well. BEFORE CALIBRATING YOU MUST LET YOUR MONITOR WARM UP FOR AT LEAST 20 MINUTES. 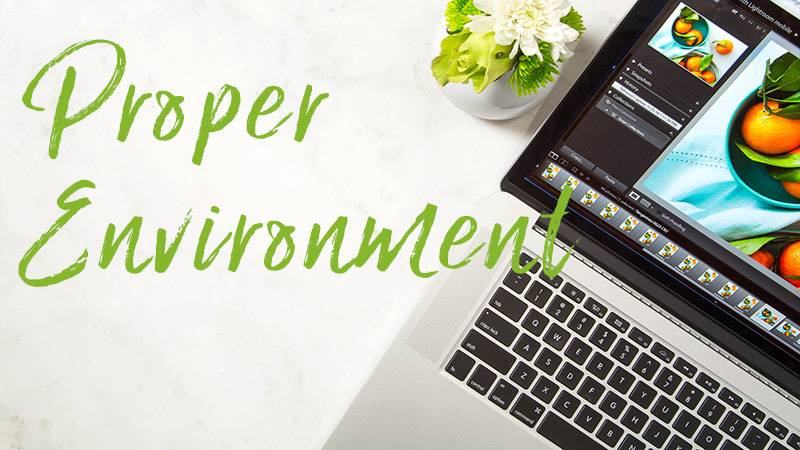 If you are working on a laptop – you will need to get into the System Preferences / Displays – and make sure that any type of “auto” brightness adjustments are turned off. You also need to make sure your laptop is plugged in the whole time and turn off any Energy Saver settings that adjust the screen when it’s idle. Also, make a note of what profile your system is currently using. This way, if you have issues calibrating, you can just go back to the profile your system was set to previously while you work on the calibration issues with tech support. 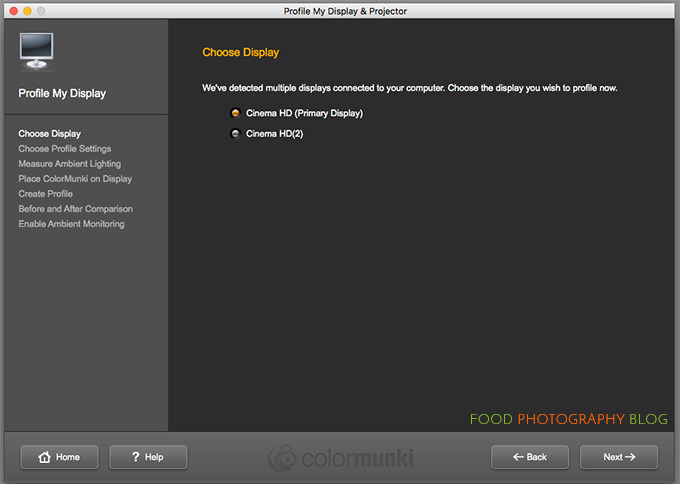 This is the window for the System Preferences / Displays / Color tab. You can see my current profile is highlighted in gray. I just take a screen shot so I know where I started from. Plug in your Munki or other device. Launch the software. Your software might look different from what I’m showing here depending on your device. 5. Click on your display (image above). I have two monitors in my system so they are both showing there. Click Next. In White Luminance click “I would like my display luminance set to the following value:” then select 120. This is how bright your monitor will be and this is industry standard. 7. If you have a non-glare LED screen, check the box for Ambient Light Smart Control. This will measure your ambient light in the room and take it into consideration. 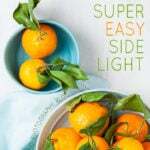 This is very important if you are working in a room with mixed lighting. You should be working in a dimly lit room. If you are working on a glossy monitor, you will really have to work on getting the glare off your screen. There are two video links to show you details about the two options, so check those out. You don’t have to use one of these settings unless you feel it’s necessary. When I had issues with my monitors, Alex had me recalibrate with both of these off. If you choose not to do this step, skip to step 11. 8. 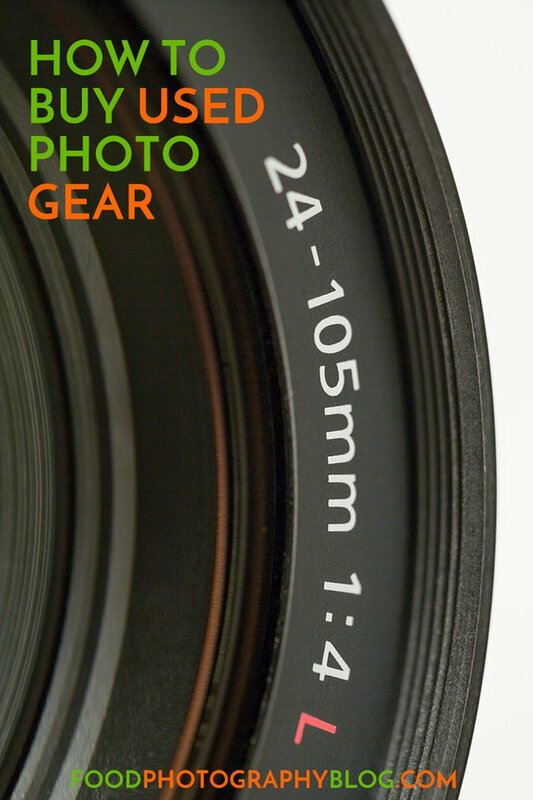 Take your Munki and flip the screen over the lens and set it on your desk. The software in the image above is telling me that my device is not set up properly. This step is for measuring your ambient light. 9. When your device is set up properly, you can click on “Measure”. There is a video on this screen to show you the correct place to put your device on your desk. Watch this as it’s helpful. It’s a 15 second video. 10. When it’s done, you’ll see the green check mark and it will say what your light level is. Click Next. 11. Now take your Munki, rotate the shield so you can see the lens, hang it over your display, adjust the counter weight on the cord, and place your Munki right on that yellow guide outline. 12. You’ll see your screen go white, gray, red, green, and blue. Then you’ll see this brightness window. You will need to make your monitor brighter or darker to make the target match as close to the 120 setting we selected earlier. Please Note: This is where you will find out how far off in brightness your monitor is. 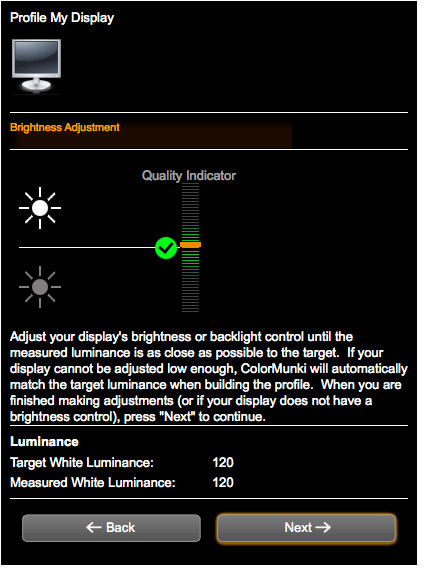 If your Luminance is over 200, your monitor is way too bright. If it’s under 100, it’s way too dark. With laptops, the buttons to change the brightness on your monitor are usually somewhere on your keyboard. With stand alone monitors, the buttons might be on the side, on the back, OR you might have to pull up a menu to find it that way. If you can’t find the buttons, google “buttons to adjust monitor brightness on the NAME OF YOUR MONITOR HERE”, to find them. Reminder, you MUST let your monitor warm up before calibrating it. 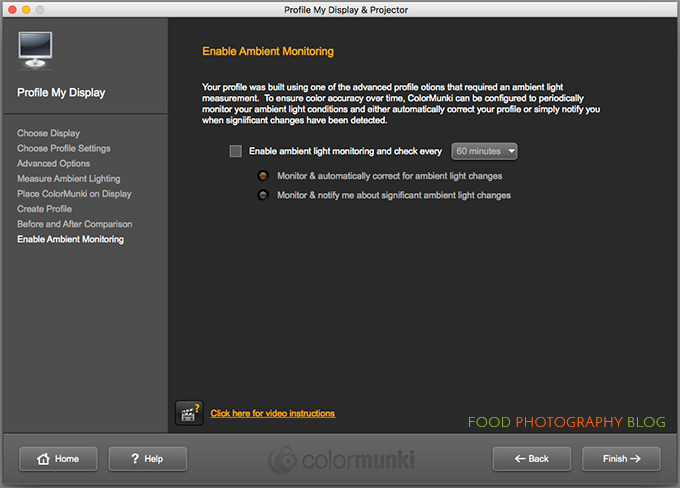 Cold monitors are not as bright as when they are fully warmed up and that can give you an inaccurate calibration. If you are having issues getting close to 120 on a laptop, you might need to adjust the brightness on your monitor first, then start over. So press the “back” button until you get to the first screen. 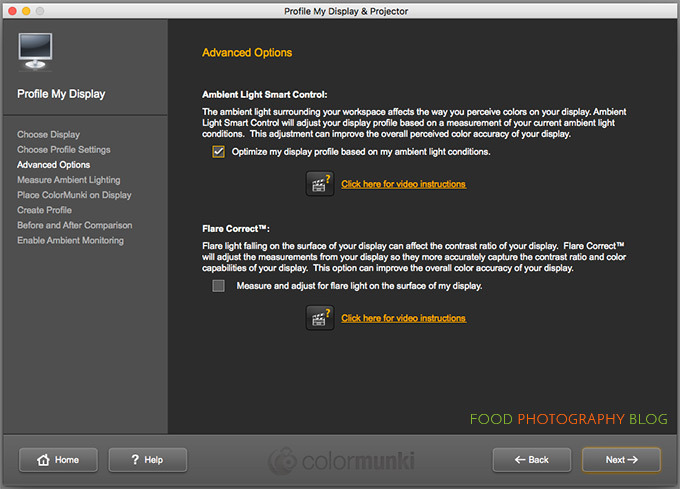 On a Mac go into your System Preferences / Displays / and look for the monitor brightness. 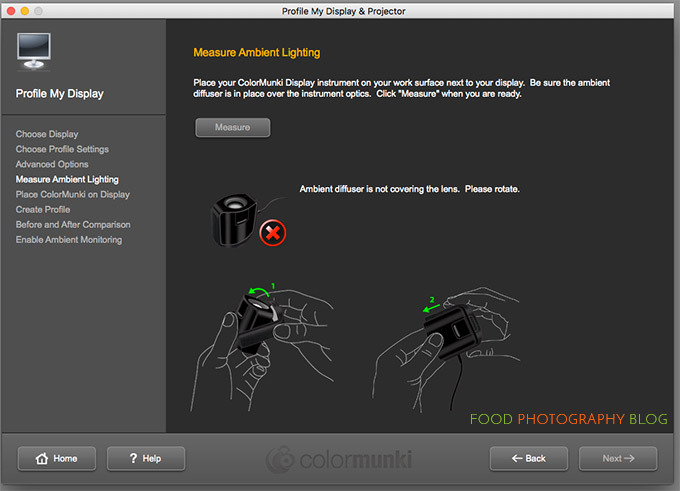 Adjust the slider a little bit up or down, then start the ColorMunki calibration again. On some laptops, there might be a checkbox for an auto adjustment in this Display window – turn that off! If you are working on a PC, google how to adjust these settings on your particular device. Then click Next when you get as close to your 120 target as you can. 13. Now you will see your monitor flash in many different colors. This will take 5 minutes. 14. After calibration, you will be asked to name your profile and save it. I leave it the name that the software had for it, as it includes the date. 15. You will see a confirmation that the profile is complete. You will have an option to set a reminder to recalibrate. As I calibrate all the time, I don’t set reminders, but you might find that helpful. 16. Now you can see the Before and After, which I always find interesting and you can see how far off your monitor was before. If you’d like, you can switch out the default image you see here with one of your own to see the before and after on your image. 17. The last thing it will do is ask you if you’d like the Munki to monitor your environment while you are working. This could be used in situations where you are not moving your computer around. So if your work station is in one place, and you have daylight in your space, your ambient light will be all over the place throughout the day. You can have the Munki sitting on your desk and you can set it to monitor your ambient light every 30 minutes or so. This really is not ideal, but if you have no other options you could try this. My environment has very little daylight coming in, so I don’t use that option. So – there you have it! You now have an accurate monitor to do image editing on and also to shoot tethered on. A few things to note: most people who do not do photography work will never calibrate their monitor. If any of these folks tell you your images are too light or too dark, you simply ask them if they are viewing it on a calibrated monitor. If they say no, then say they might want to consider calibrating because you work on a calibrated system and that is industry standard. Here’s something that is surprising and comes up all the time. I have many clients that don’t even know about calibrating their monitors. This is a problem. I am making images for them. My system is calibrated. If they look at my images on their un-calibrated system and have an issue with something, the first thing I ask them is, “when was the last time you calibrated your system?”. I’ll either get a blank, “I have no idea”, or “never”. So then I politely let them know that I calibrate my system every time we shoot so it would be best if they calibrate theirs so that they see the same thing when it comes to color. All printing facilities do intense color calibrations. 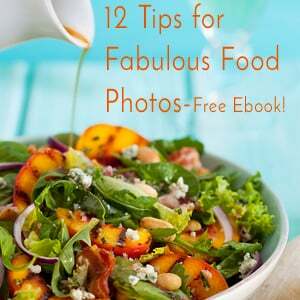 The goal is to get your images to print without issues. That’s it. So if your client is working on your files on an uncalibrated system, they can do some changes that would alter how they print. Then the printer has to correct what was done to files to get them to print. Here is how I handle this with every job. When we are shooting and looking at our shots on my monitors, I tell them, “This is how the color will generally look. This is a calibrated monitor”. Then I say, “I use an X-Rite calibrator. 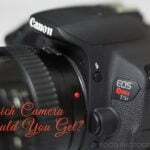 What calibrator do you use?”. I always ask this. If they have no idea (which is now very common), I explain to them the importance of color calibration and I explain that if they change things in the file with color, saturation, contrast, and brightness, it will not look that way in print. In my experience, about 75% of my clients don’t calibrate their systems and are working on laptops without a stand alone monitor. This is always a problem and is always a conversation I have to have with them. 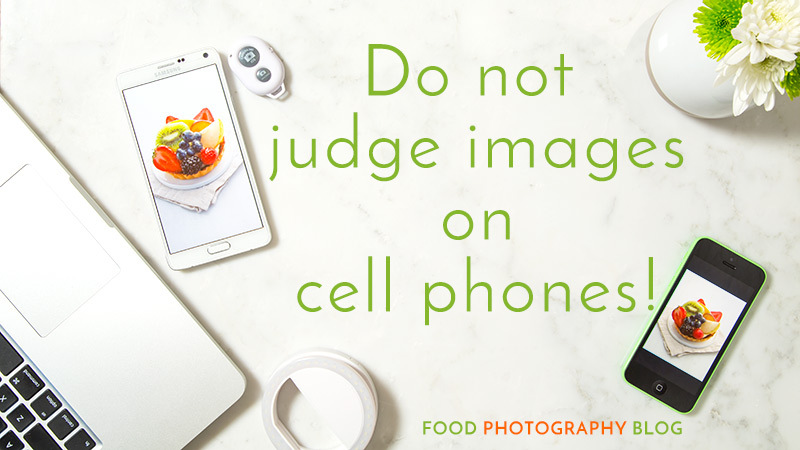 Do Not Judge Your Images On Phones! I can’t tell you how many times I’ve had clients that weren’t with me on set, judging my images on their cell phones. I’d email them images to look at. Then ask them what they thought. They’d say, “wow, the highlights are blown out and it’s really contrasty.” What??? I’m looking at my image on my computer and it’s fine. The first thing I will ask them is how are they viewing the image. Without fail, they are looking at it on their iPhone. So I say, “oh, don’t worry about that. Our cell phones can’t render accurately what our images look like”. 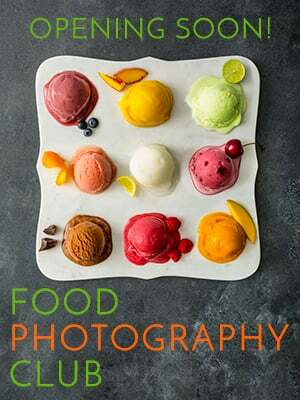 All they can do is look at the image for composition and food styling. Even with huge ad agencies this will happen so it’s not just the small client direct projects that do this. They all do it. Just keep this in mind. Don’t get me wrong, to have your client, no matter where they are in the world, look at what you are shooting, is great. There’s just some limitation with how our cell phones show images when we’re talking about accuracy of color, contrast, saturation, and brightness. It’s about managing expectations. 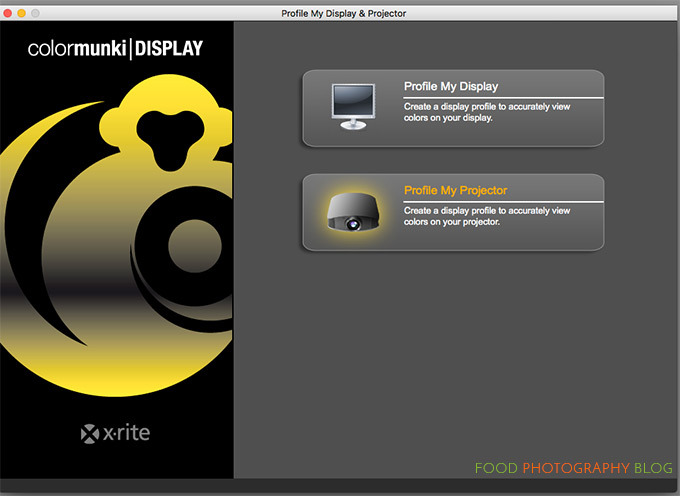 If you are making images for clients, get you’re Munki right now, and calibrate your system! If you liked this post, please share it on Facebook and sign up below so you don’t miss the next one! Hello, it was great to see this post in my email this morning. I spent the last few weeks researching my printing purchase and settled on an inkjet and calibration system. 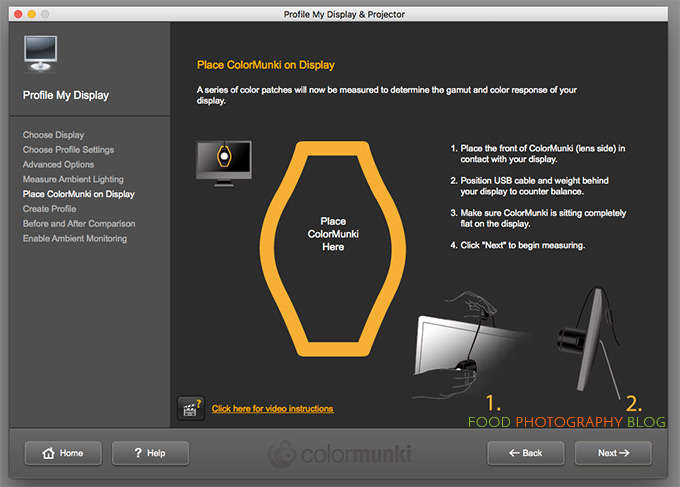 My calibration choice includes a ColorMunki Photo, calibration targets, and a hood for my iMac. Hi Scott, sounds great – I haven’t calibrated my printers in a long time. It’s a little complicated but you can always call tech support if you get hung up on anything. Thanks for this Christina. I need to research what the best option in Australia is. Hi, Christina, great article! I’ve been using a laptop for a long time, unaware of how important is monitor calibration. Also, I’m sure of the fact that not any monitor would be right for the kind of photography you do. Do you have any advice concerning the quality of different monitors on the market? Hi Victor, well I addressed that in my previous blog post about monitors so check that out. There are tons of monitors in all kinds of price ranges. The cheaper monitors are not the best to buy for doing color critical work. 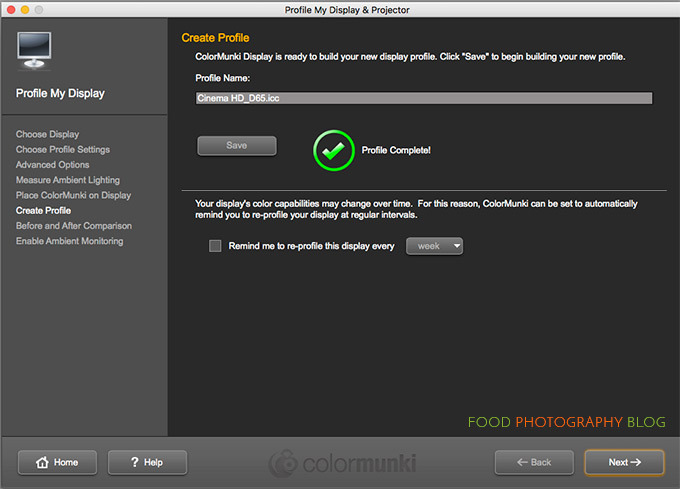 Thanks Christina, a very useful article after which I got myself a colormunki display. It isin the post right now. I am using one monitor for office work, which i like to be bright, and photo editing,which i presume will need to be darker after calibration. Can i switch the profiles depending what i do, or will i need to recalibrate every time i change the task? 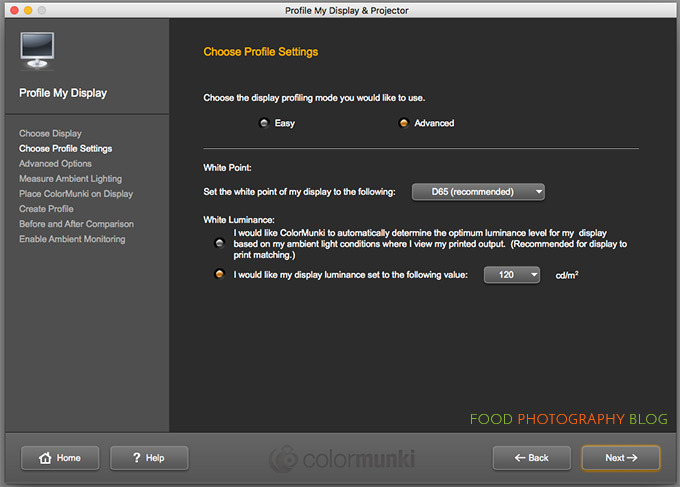 Hi Pawel, yes, you can make one profile for color sensitive work, then another profile for other things. They are called ICC profiles so you’ll need to look up how to switch color profiles for your computer.